General Motors has finally allowed Cadillac to build its own engines again, rather than use already existing ones from the other brands. 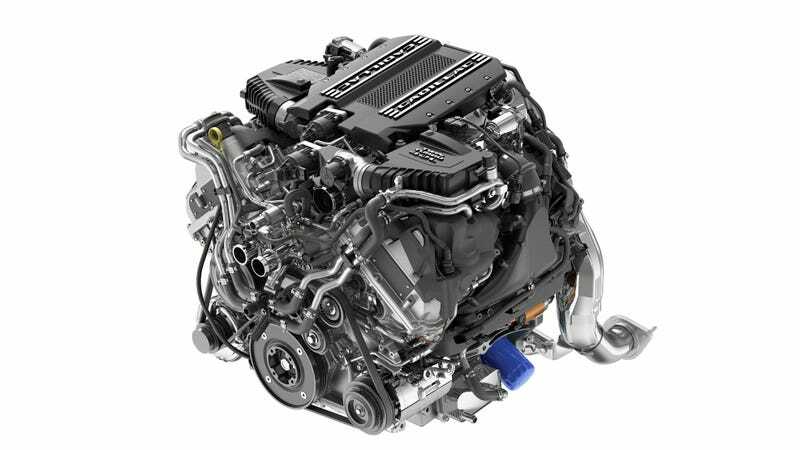 The result was the twin-turbocharged, 4.2-liter “hot-vee” V8, which will be found in the 2019 Cadillac CT6 V-Sport. Here’s how it will be different than the other V8s. That definitely seems like a fitting engine characteristic for a car that’s meant to be more of a comfortable cruiser than a white-knuckle, tire-shredder like the CTS-V. It sounds like it’ll be smoother and good for moving a heavier body. But that doesn’t mean it’ll be a slump. We previously reported that the standard CT6 V8 will have 500 horsepower and 553 lb-ft of torque, while the V-Sport version will have 550 HP and 627 lb-ft of torque. That ain’t bad at all. The engines will be built at the Corvette plant in Bowling Green, Kentucky and, as Pop Mech has learned, “Six engine builders are on the payroll to assemble them, but each motor is built by just one of them.” Kind of like AMG’s “one man, one engine” thing. Ninety percent of the 4.2L’s torque is available from 2,000 to 5,200 RPM. That low-end grunt lets the CT6 move effortlessly around town and hustle up highway on-ramps without having to rev to the screaming high end of the tachometer. It’s less dramatic than the CTS-V’s raucously tuned 6.2L, but more fitting for a car that thinks of itself as refined. The new hot-vee will also have a DOHC design, with the typical GM bells and whistles like cylinder deactivation and stop/start, the outlet reported. And only Cadillac will get to use this engine, so you won’t see it in a Chevy Cruze or anything like that. Though, now that I think about it, that would be awesome.